Our experts include Eric Morera (Founder & Chief Currency Strategist), Daud Bhatti (Partner & Senior Analyst), Hendra Lau (Senior Analyst), Hassan Sheikh (Chat Moderator and Analyst) Aidan Chan (Analyst and Expert in Harmonic Patterns), Vlada Bojic (Chat Moderator), Lewis Jones (Chat Moderator) and Sanjay Tiruchi (Chat Moderator). Derived from experience in this fascinating world of technical analysis, our services help clients learn, develop, and apply these analytical skills to real-time trading. ElliottWave-Forecast has built our reputation on accurate technical analysis and a winning attitude. By successfully incorporating the Elliott Wave Theory with Market Correlation, Cycles, Swing sequences, Distribution system and the Right Side system which consists of Right Side tags to inform clients of what side of the market should be traded and blue boxes to show areas for buying / selling. We provide precise forecasts with up-to-date analysis for 78 instruments including Forex, Commodities, ZN (10 year note yields), World Indices, Stocks, ETFs and Bitcoin. Our clients also have immediate access to Market Overview, Sequences Report, 1 Hour, 4 Hour, Daily & Weekly Wave Counts. 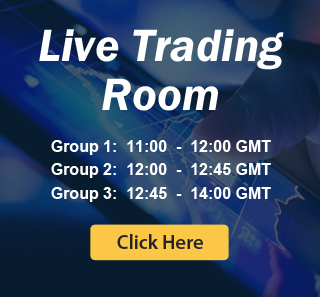 Daily & Weekend Technical Videos, Live Screen Sharing Sessions, Live Trading Rooms and Chat room where they are provided live updates and given answers to their questions. The guidance of ElliottWave-Forecast gives subscribers the wherewithal to position themselves for proper entry and exit in the markets. We believe our disciplined methodology and Right side system is pivotal for long-term success in trading.